If you like the idea of tanning on your feet then our stand up sunbeds are perfect for you. There is no contact with the tubes meaning you are less likely to get too hot. 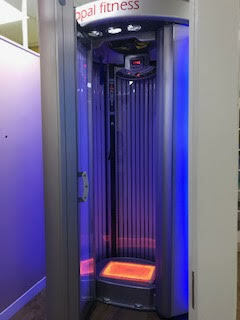 Our Tanzi upright sunbeds are top quality and you can listen to your music whilst you gently tan. 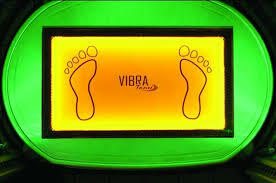 We even have a vibrating plate option so you can tan and tone in one session. Call us on 01543 578375 to discuss the options and book your session. 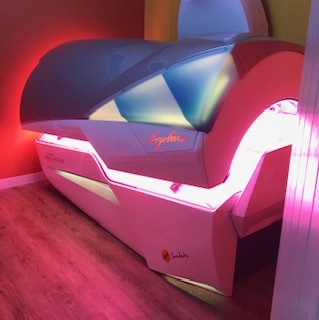 Our top quality Ergoline sunbeds offer the latest in tanning technology. Our high quality tubes helps you tan fast but safely. Listen to your music or ours whilst you take a few minutes our of your day to relax. With face, body, neck and shoulder lamps you get an all round tan with a cooling fan. If you want to see a little more about the experience these beds offer then check out this video. Ohana Tanning is a professional tanning shop located in the heart of Cannock, Staffordshire. Our goal is to help customers achieve a healthy, responsible tan in our immaculate and friendly shop. Ohana Tanning promotes responsible tanning, our staff are trained to provide educated recommendations for the best tanning results. When you make your booking please note that there must be 48 hours between sessions.